Impunity causes the repetition of the crime and corruption is intolerable: two obvious lessons that we insist on not learning. 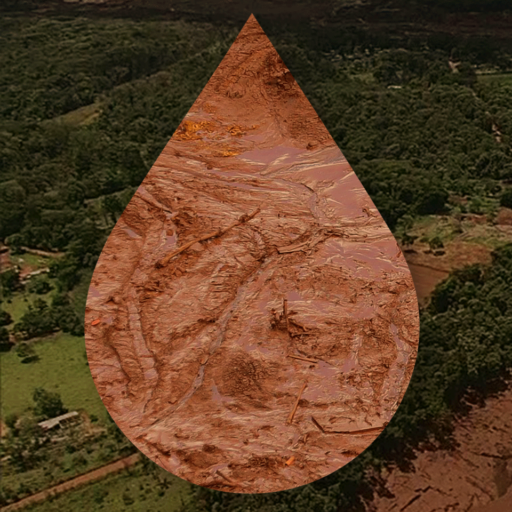 When we think of Brumadinho, it is inevitable to remember that, three years ago, the worst environmental crime of Brazil occurred, that this crime is still unpunished, and that there was great corruption involved. The breakage of the barrage of Fundão, in Mariana, also in Minas Gerais, killed 19 people and the Doce River as well, but so far no one was held criminally responsible; and Samarco, a joint venture between Brazilian Vale and Anglo-Australian BHP Billiton only payed 6% of the 166 million dollars due in fines. Although the leakage was smaller this time – 12 million m³ of toxic waste agains 50 million m³ in the November 5th 2015 disaster – its lethality rate was much greater: the body count may be over 300. There is a harsh truth we must face: we haven’t learned the lessons above because, even 196 years after its independence, Brazil is still treated as an extractive settlement. And the life of the Brazilian citizen is its most devalued product. 34 year old Ramon Junior Pinto was going to celebrate his daughter’s 5th birthday on the day after the disaster; Letícia Mara Anísio Almeida, 28, had called her 1 year old son’s nanny just before the barrage broke; and Daiane Caroline Silva Santos, 32, had gone back to work before the end of her maternal leave, precisely on that fateful Friday. Her son, Heitor, is 4 months old. Approximately 3,5 million Brazilians live in towns next to barrages that are in risk of breakage. This amounts to about 2% of the country’s population. Brazil has a history of accidents like this one every two years, since 2001 – when a barrage constructed by Rio Verde mining burst and killed five people in Nova Lima (MG). A report from the National Waters Agency lauched late last year indicated that, in 2017, 45 constructions like that, spread over 13 states and more than 30 villages, had structural defects. According to ANA, Vale has 175 barrages, 56 of which are classified as “high associated potential damage”. The National Mining Agency (ANM) counts on only 35 inspectors to act on the 790 tailings dams in the country. Can you avoid feeling a chill and then an outrage? Brumadinho is already the worst work accident in the history of Brasil, surpassing the collapse of the exhibition hall at the Gameleira Park, in Belo Horizonte, in 1971. On that occasion, 69 workers lost their lives. And sadly, everything leads to believe that Brumadinho will soon be the worst work accident in the world. In 2012, Vale, who acts globally, won the Public Eye Prize: it was elected, with 25 thousand votes, the worst company in the planet, when it comes to lack of respect for human rights and the environment. The award is given since 2000 by NGOs Greenpeace and Bern Declaration. The mining company beat Tepco, the biggest energy company in Japan, owner of the nuclear plants in Fukushima. Vale is also accused of environmental crimes in countries from Mozambique to Canada. Minas Gerais has more than 400 tailings dams. According to the TCU audit, in 2016, the former National Department of Mineral Production (DNPM) needed 384 employees, but only had 79. Today, according to the National Mining Agency (ANM), that replaced the department, this number went down to 74. And there is still talk of cutting more costs? Córrego do Feijão mine, in Brumadinho, has been getting environmental fines since 1988, according to records of the Integrated System of Environmental Information of Minas Gerais (Siam). Last year, the state’s Public Ministry had already opened a specific process to investigate it. In spite of that – and even if its barrage had been built using technology considered outdated – Vale was favored in 2017 by a change in the state rule, in the management of former Governor Fernando Pimentel (PT). Signed by the Secretary of Environment Germano Luiz Gomes Vieira, kept in office by the current Governor, Romeu Zema (Novo), the Regulatory Deliberation 217/2017 altered the patterns of risk that made the project go from the highest degree of potential of environmental degradation to a minor one. With that, it began to operate 88% above its previous capacity. The change was challenged by Civil Society’s National Forum for the Management of River Basins (Fonasc), which found a series of inconsistencies. But this is not a question of demonizing a single company or politician, but of questioning a model of development that does not take into consideration the safety of the citizen and of the environment. Of course Vale is not the only villain in this story. And it’s also not a question of party or government, but of State – civil society included. It may be necessary to acknowledge the current President’s agility in face of tragedy – differently from what happened in Mariana – we cannot forget the little attention he gave to the preservation of the environment, not only during his campaign, but also in his first acts after his inauguration. The Minister of Environment himself, Ricardo Salles (Partido Novo), was convicted by Justice precisely for manipulating data to benefit mining companies in the Environmental Protection Area Várzea do Tietê, when he was State Secretary in São Paulo, for PSDB. Brumadinho forced the Federal Government to moderate his speech, favorable to the flexibilization of the environmental licensing. It’s still little, but we have to grab this chance of a fresh start.